What Small Businesses Should Know About Content Marketing | Molick Enterprises, Inc. Useful, targeted content marketing needs to be part of any small business’s strategy. Becoming knowledgeable about content marketing is key for the small business owner, and learning how to make the most of your efforts online and on social media will reap benefits now and into the future. As you make decisions on where to concentrate your content marketing efforts, try to isolate where your clientele searches for useful information about the products your sell or the services you offer. If you have been placing your information in places where your base customers are unlikely to look you may be passing up opportunities to grow your business. Do not limit your content to placement on just one platform, however, and be sure to link your various platforms together. You may find it a bit uncomfortable to promote your products or services on a platform like YouTube or Facebook but it is essential to try to attract attention as many different ways as possible. 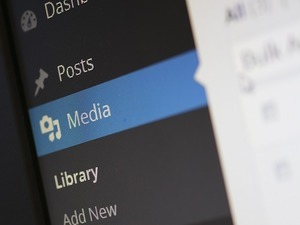 A content-rich blog is a great idea that becomes even better when visuals or videos are added. Tweets and Facebook posts are also capable of inspiring more interest than you might believe possible. The fact of the matter is today’s consumers expect information to be shared in a variety of ways. Use a variety of different content marketing approaches in an interrelated way to drive traffic to your website. Offer a part of the story, research or whatever useful information you have for your target audience and entice them to a virtual visit. Once the potential customer lands on your site be sure to have the rest of the story and other interesting and informative content that will encourage them to browse and buy. Consider investing in paid promotions on social media. Even if this is a concept you have had doubts about in the past give it a try at least in a limited way to see if it increases your exposure and improves your bottom line. You can make a decision to increase this type of exposure if it proves lucrative or shift the focus if it does not work out quite the way you had hoped. Understand that every day more commerce is driven by the mobile market. Embrace this market by ensuring your content is engaging and understandable on a smaller screen. As the wearable technology evolution continues plan for your content marketing to be accessible on these devices as well. Expect a large percentage of the interest in your online presence to be piqued by the quality of your mobile experience and shape your content accordingly. Your customers and clients are interested in the experiences of those who have already availed themselves of your business’s offerings. Offer a diverse range of opinions by hosting a forum or providing easy to access review and comments. Take this method of communication seriously and be sure to engage in the discussion, answer questions, take suggestions and troubleshoot.